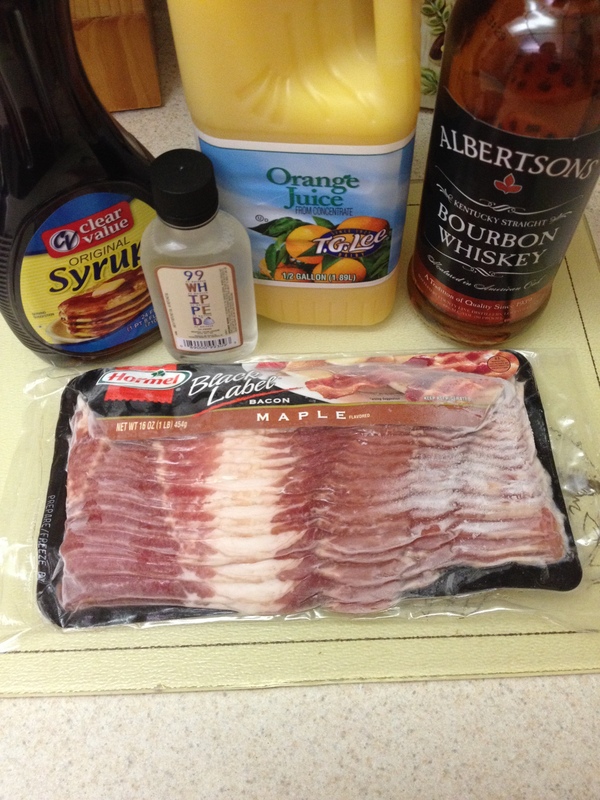 I got the idea from a pin on Pinterest called Pancakes and Bacon Breakfast Shot, by Jeffrey Jacoby. * Now eat your bacon! 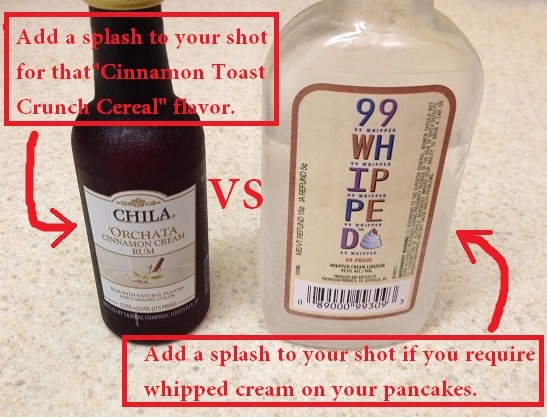 * In place of your Bourbon Whiskey, simply use Bakon Vodka or make your own. * Also, in place of your plain Bourbon Whiskey, infuse it with bacon first. You can follow the same directions we did for own home-made Bacon Infused Vodka. * You have many opportunities to make adjustments to this recipe. 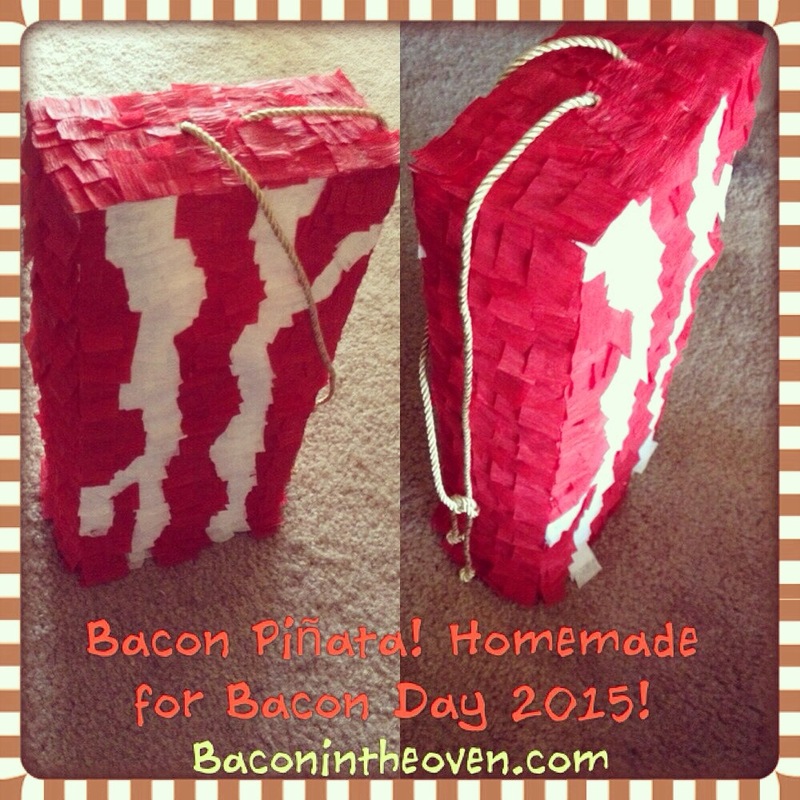 You can chose to use any flavor of bacon, different liquors, or even different juice.